Multiple lawmakers say they believe Facebook CEO Mark Zuckerberg withheld important information about its data sharing agreements with device makers when he testified before several congressional committees in April. Why it matters: Facebook has been trying to earn the trust of skeptical policymakers for months. This doesn't help. "Clearly, the company’s partnerships with Chinese technology companies and others should have been disclosed before Congress and the American people," said House Energy and Commerce Chairman Greg Walden and top panel Democrat Frank Pallone in a statement. "The spirit of our questions about third-party access to user data should not have required technical knowledge of the legal agreements Facebook has with device manufacturers to get clear answers for the public." "Sure looks like Zuckerberg lied to Congress about whether users have 'complete control' over who sees our data on Facebook," tweeted Rep. David Cicilline after the first story broke about the data sharing arrangements with device makers. Sen. Ed Markey said that Zuckerberg should have to testify again. 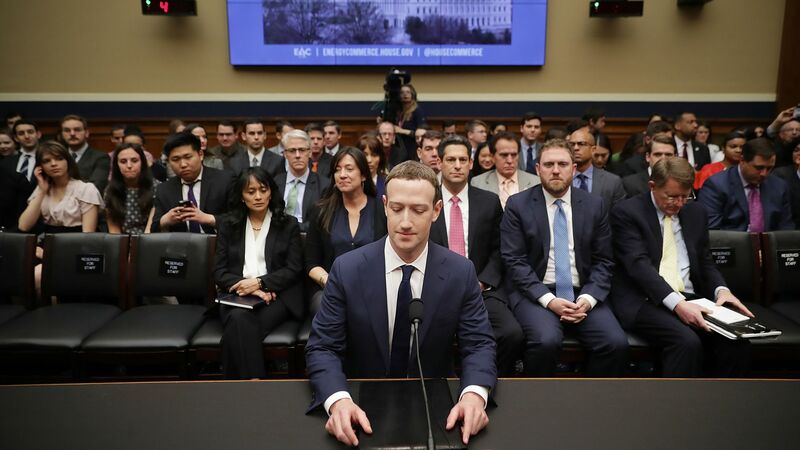 Facebook's response: "Mark spent over 10 hours answering hundreds of questions put to him by lawmakers," a Facebook spokesperson said via email. "The arrangements in question had been highly visible for years —with many manufacturers advertising these features. But with fewer and fewer people relying on them, we proactively announced this spring we’d begin winding them down." Facebook has maintained that the arrangements it had with device makers are not analogous to the data gathering conducted for Cambridge Analytica. It also says that, in the case of Chinese manufacturer Huawei, the user data was never stored on the company's servers.